Photo by Kelly Green, September 2012. Painted by various Salt Lake City teenagers, the mural displays different narratives with themes of hope, health, and loving care. 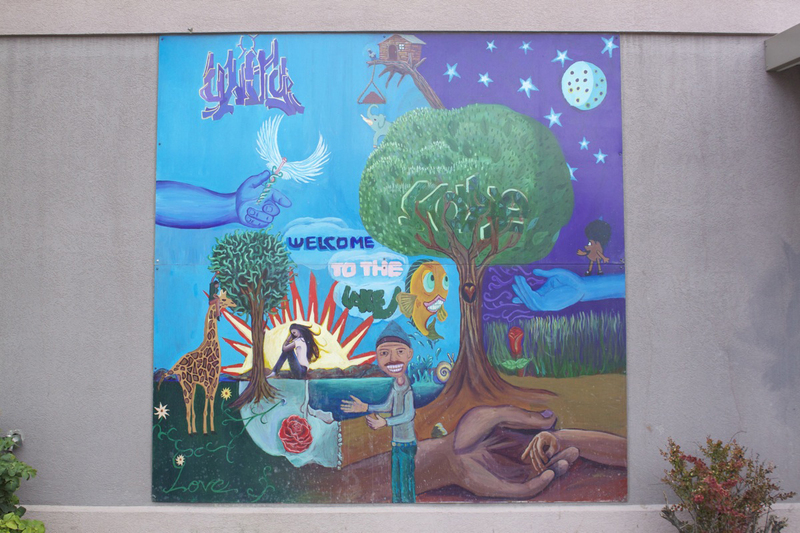 The mural is located on the east side of the Fourth Street Clinic – Pamela Atkinson Center building. It reads: “Welcome to the Lake.” The mural is an easy crosswalk distance from Pioneer Park. See it on the way to or from the Downtown Farmers Market, Twilight Concert Series, or other events held in this popular Salt Lake City park.